For 56 minutes and 11 seconds, it looked like the San Jose State men’s soccer team could do the impossible. Then Seattle scored, and everything came crashing back to Earth. The Spartans, nearly flawless through the first two-and-a-half games of the Western Athletic Conference men’s soccer tournament, couldn’t hold off the conference’s only elite team, falling to Seattle 2-1 thanks to two second half goals by the Redhawks. San Jose State took an early lead on an unassisted goal by Ben Cowdrill. But Seattle had spent the first half peppering goalkeeper Emmanuel Espinoza, throwing 10 shots his way with two needing to be stopped. In the 57th minute (at 56:12 to be exact), the dam finally broke for the Spartans. Miguel Gonzalez netted his team leading 13th goal of the season with the help of Ian Hines-Ike. The Redhawks took the lead for good when Hines-Ike assisted Hamza Haddadi on his fifth goal of the game in the 71st minute. All told, of Seattles eight shots in the second half, seven were on net, with Espinoza stopping five others. The Redhawks earn the WAC’s automatic bid into next week’s NCAA tournament, concluding the regular season 10-8-2, and undefeated (7-0-3) in WAC play. Despite a valiant showing at the conference tournament, San Jose State ends its season with a record of 4-13-4. 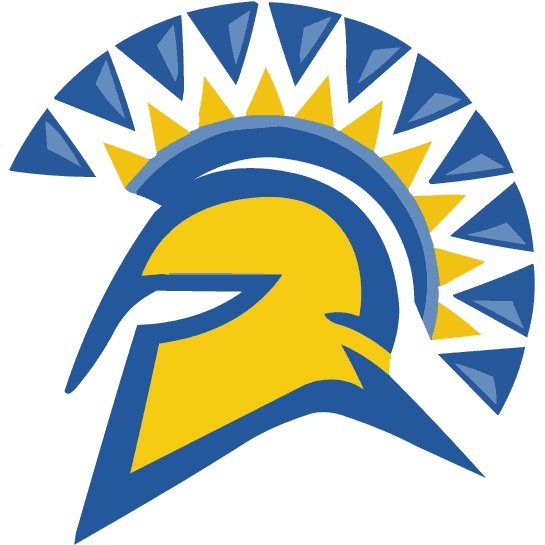 Rounding up this week’s San Jose State sports events. Spartans vs. Navy, 6:30 p.m. Friday at Spartan Stadium, TV: ESPN2; Radio: KLIV 1590 AM (San Jose). Spartans at Pepperdine, 7 p.m. Wednesday at Firestone Fieldhouse, Malibu. Spartans vs. Cal State Fullerton, 12:30 p.m. Saturday at Event Center Arena. Spartans vs. San Francisco, 7 p.m. Wednesday at Event Center Arena. Spartans vs. San Diego, 3 p.m. Saturday at Event Center Arena. Spartans vs. Colorado State, 7:30 p.m. Thursday at Event Center Arena; TV: MTN. Spartans vs. Wyoming, 7:30 p.m. Saturday at Event Center Arena; TV: MTN. Women’s Swimming and Diving: at Arena Invitational in Los Angeles, Friday through Sunday. Club Hockey (9-2): at Beehive Grill Showcase in Logan, Utah, Thursday through Sunday.